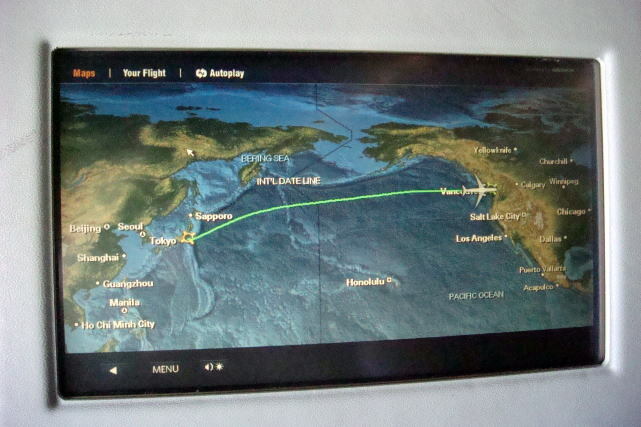 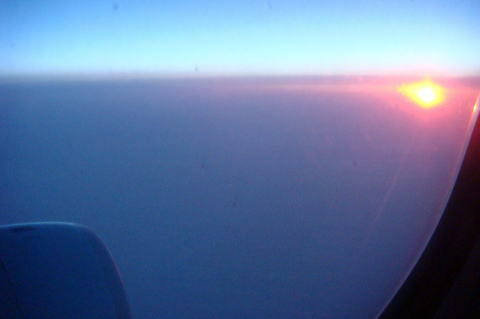 (L) Air Canada to Vancouver at Narita International Airport (R) A sunrise observed after crossing an international date line. 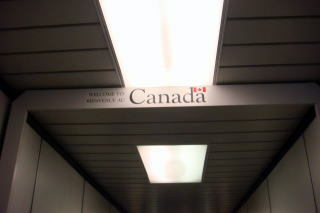 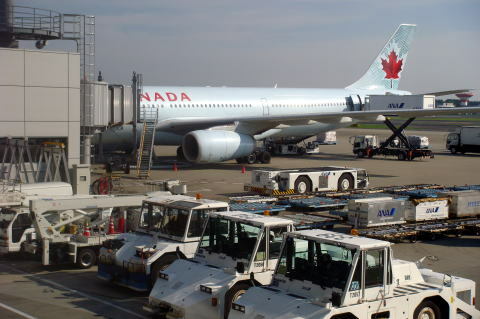 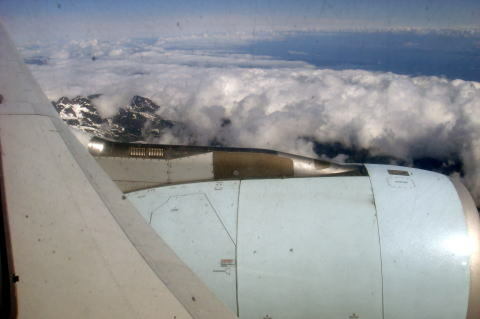 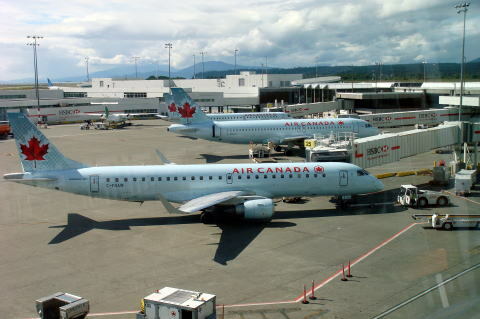 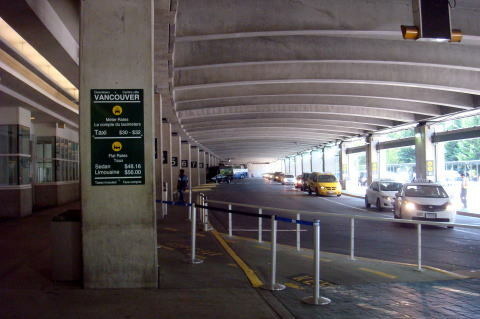 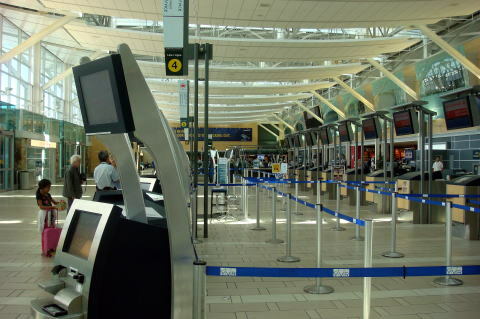 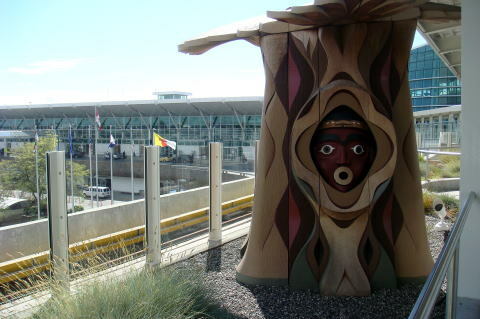 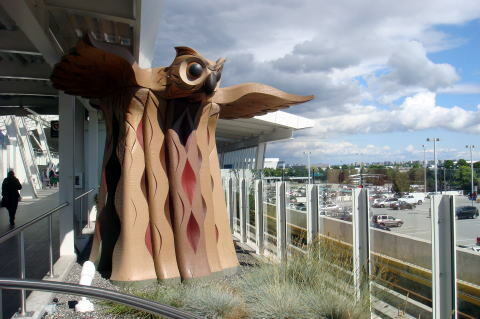 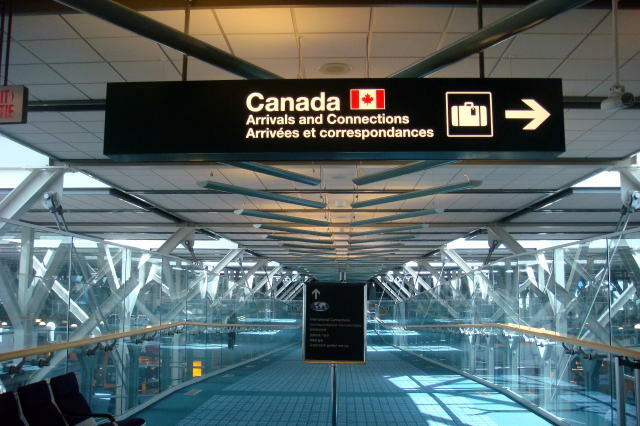 This was the second experience arrived in Vancouver Airport after that day of 1972. 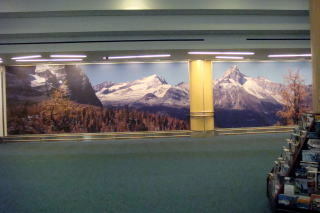 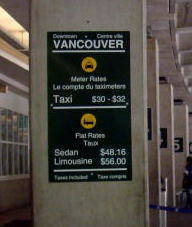 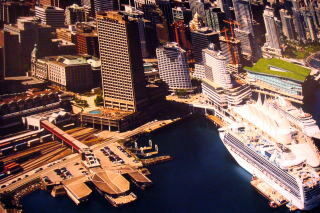 (L) Display of Canadian Rockies and the Port of Vancouver (R) Taxi fee to the city cost $30 to $32. 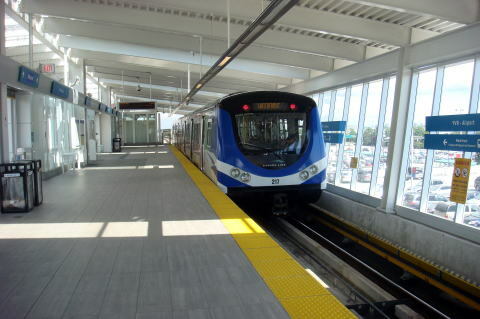 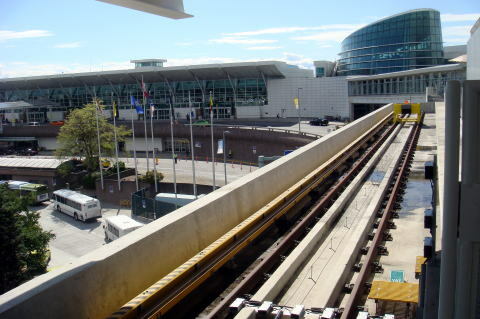 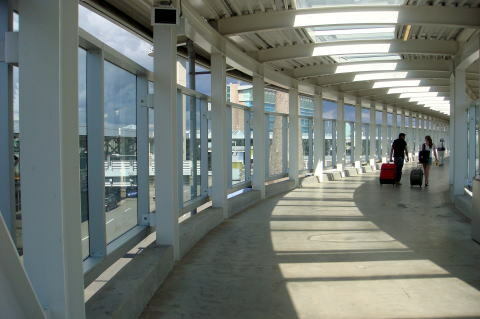 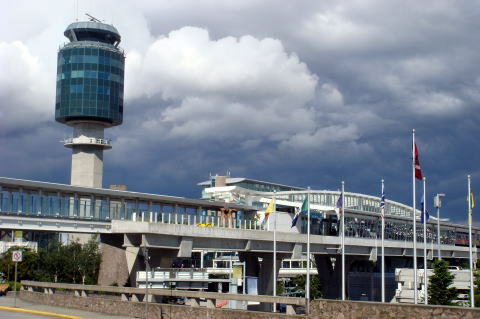 The end of rail and SkyTrain arrived at the Vancouver Airport. 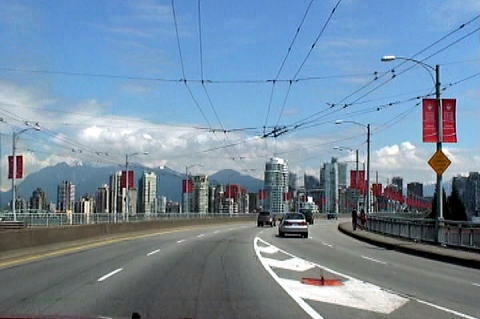 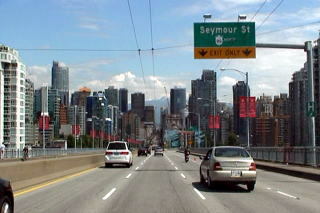 After we passed Granville Bridge, the skyline of the City suddenly appears. 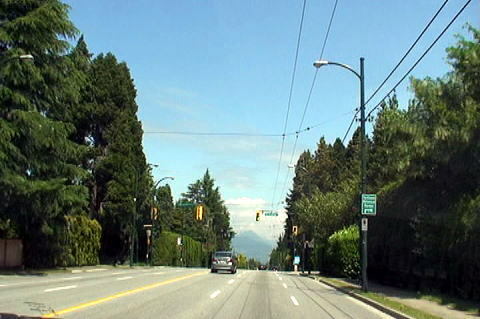 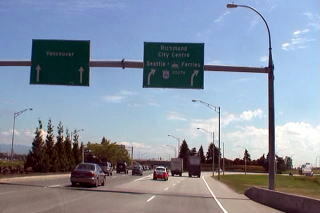 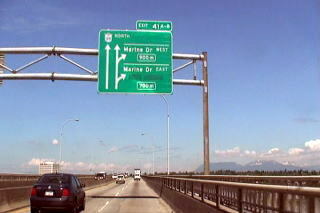 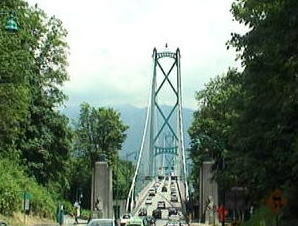 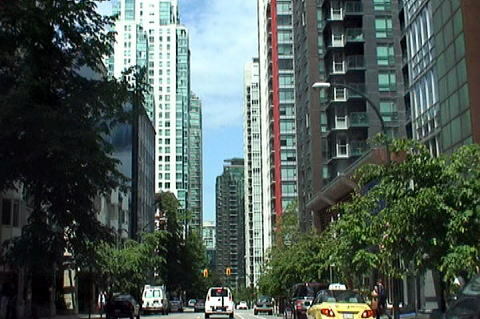 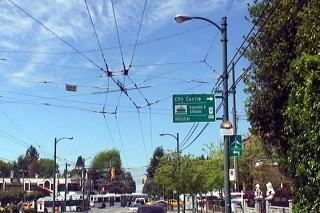 (R) Route 99 passes through the Stanley Park, which size is 10% larger than New York City's Central Park. 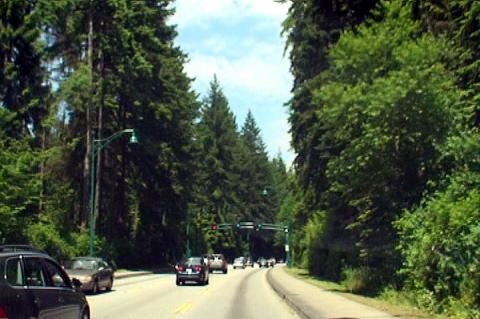 About half-million trees are taller than 76 m, stand over 100 years. 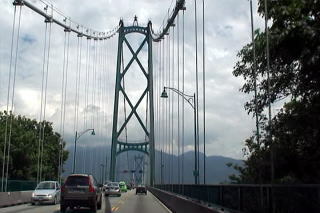 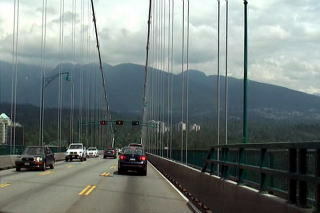 After we passed through, cross Lion Gate Brige, a suspension bridge that crosses the narrow of Burrard Inlet. 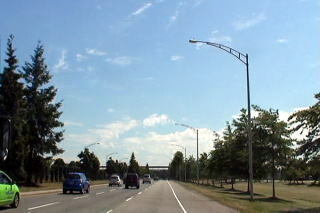 The article was written and photographs were taken by Dr. Junhaku Miyamoto, in June -July 2010.